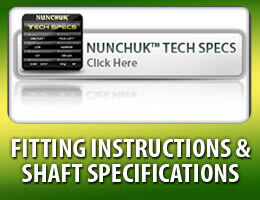 If you are a professional fitter/clubmaker, or a golf retailer interested in becoming a NUNCHUK® authorized fitter or dealer, please click on the button below to complete a brief online application. 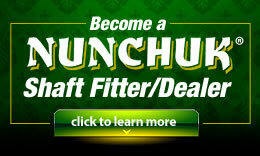 A NUNCHUK® Fitter/Dealer Close to You! VON'S GOLF AND PUTTER STUDIO, INC.